The only constant is change–technology, process change, structural change, strategic change. We need to know how to implement organizational change better. In a competitive market, change failure is not an option. Research at Harvard found that over 75% of change processes fail. We have found two primary reasons for this high rate of failure:(1) a lack of workforce ownership of the change, and (2) leadership not staying the course. Over the last 25 years, we have learned that those affected by the change need to own it. People take care of what they own–they don’t wash rented cars. Also, leadership must show the character, will, and discipline, in the face of adversity, to see the transformation through to completion. 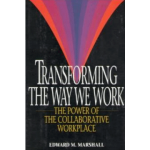 Over 30 years, The Marshall Group’s award-winning Collaborative Method℠ has a 90+% success rate when these two conditions were met. The Method builds workforce ownership and ensures leadership commitment. Our methodology became a Best Practice at DuPont, and won the prestigious Excellence in Organization Development award from the American Society for Training and Development. The Psychology of Change: Key to success managing expectations, hopes, and concerns of the workforce, and doing so over time. Our change methodology ensures effective two way communication and alignment on milestones and measures of success. Discovery: The project begins with understanding the critical business challenge you face, your business context, and your vision of the future, and the gap that needs to be filled. Our approach to Discovery is based on a systems model, engages key stakeholders, and results in a focused strategy for successful change. Senior Team Trust & Commitment: Our Method ensures a high degree of alignment and strategic consensus among senior leadership. Our Collaborative Governance System(sm) has been deployed successfully in hundreds of leadership teams, and builds high trust for sustained high performance. Ownership & Engagement Strategy: Ownership is key to success. Our Ownership Strategy(sm) engages the entire workforce in processes that give them a stake in the success of the change. Early Visible Successes: Within 100 days, our Method produces results that all can see, and we touch 100% of the organization, no matter what your size. 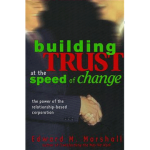 We then build the needed momentum and ownership of the change process that will sustain it. Communications Strategy: Successful change needs 2 way communication process that becomes an ongoing part of the culture. Our communications methodology builds internal ownership of the process, messaging, feedback, and problem resolution. Measurement: Based on your critical business challenge, we work with you to put a number on its achievement–e.g. a 25% increase in customer satisfaction, a 5% increase in revenues, or a 10% reduction in cost. It is essential to measure the progress of the change effort by having a set of quantitative and qualitative measures as well as milestones. Implementation: Unlike traditional approaches to change management, our Method doesn’t “drive change down” into the organization. Our approach builds ownership of the change “within” the organization by engaging 100% of the workforce in the change process. We move beyond “just do it” to “just do it right”. Why do rework when you can do the change right in the first place? Self-Sufficiency & Change Mastery: We begin the self-sufficiency process from Day 1 by partnering with leadership and organization development resources. We work with you to build a Change Team that has the capabilities to implement and sustain the change. Our skills building programs for certification in Change Mastery support that process.